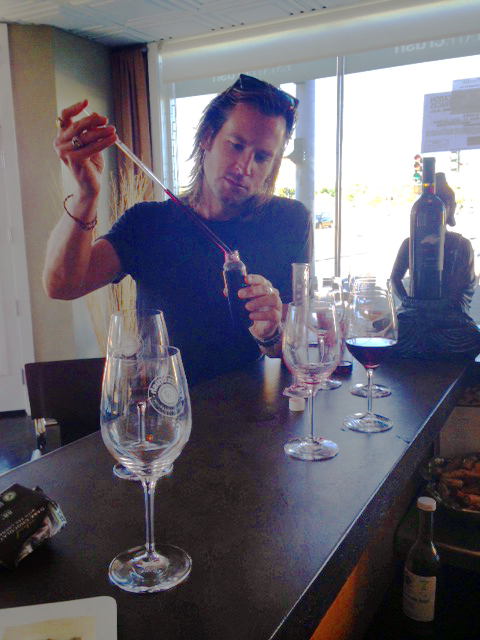 I started making wine with one simple Intention: to share. In 2005, after crushing my first batch of Cabernet, I wrote on the barrel "Sinatra Vino Salute!" I had decided the company would be called Sinatra Wine after my last name. Well, the next four years of my life I experienced an amazing spiritual journey and almost left this world due to due to an illness. It was profound and powerful. I came out the other side with a new Intention. To live as my true Self. To follow my dreams, my passions, and most importantly, my Heart. I wanted to really live life not from the perspective of gaining something, but from giving something. Giving that free essence of me, my spirit, to all. Hence, FreeSpirit Wine was created. The bottle became a canvas for words and images I wanted to share. Three labels showcase FreeSpirit Wine, the Horse, the Hawk (coming soon!) and the Heart. Each varietal or bottle has a name, such as Inspiration, Faith & Trust, Perception, or Grace. And of course, my first vintage is called Intention. Many blessings, much love, and of course…Salute! FreeSpirit Wine with Step Sinatra and Dr. Sinatra This Video says what FreeSpirit Wine is all about. Cheers!